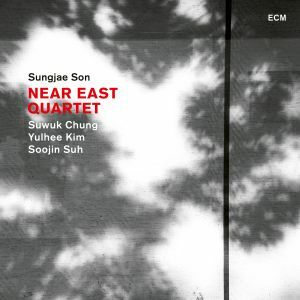 Sungjae Son: tenor saxophone, bass clarinet; Suwuk Chung: guitar; Yulhee Kim: vocal, percussion; Soojin Suh: drums; (Sori Choi: traditional Korean percussion on track 3). Recorded December 19th-21st 2016 by Sun Chung at Stradeum, South Korea. There is a richly rewarding, multi-layered set of sounds on this set. The liner notes explain how the Quartet marry the slow pulse of traditional Korean music with the varying time signatures of improvised jazz. One of the interesting observations that Chung makes in the liner notes is that timing in traditional Korean music has more to do with the length of a breath than with a strictly defined metre. So, the notes that Son produces on clarinet or saxophone, or the words and phrases that Kim sings, define the pace of each tune (and this is often echoed by the ways in which Chung uses sustain on his guitar notes). In places, this produces an atmospheric, ambient musical experience. So, track 2 ‘Mot’ and track 4 ‘Galggabuda’, undulate around Kim’s vocal and Son’s clarinet and saxophone. In contrast track 3 ‘Baram’, track 6 ‘Pa:do’ and track 8 ‘Jinyang’ make similar use of voice and reeds, but adds sustained guitar notes and Suh’s powerful drumming to create a satisfying counterpoint. As Suh explains in the liner notes, a key to approach to her playing is the ‘deep sense of pulse in Korean music’ which is often not marked directly. In her drumming, the time signature is clearly adhered to but not directly indicated, with a great deal of attention to which drum beats could be removed while still providing a rhythmic structure. ‘Baram’ also involves some crashing accompaniment from traditional Korean percussion. This is music that demands, and repays, your unwavering attention. The first couple of times I listened to this while driving the car and the subtly of the music passed me by. Only when I listened in a quiet room without distractions did the music make complete sense. The quartet will be playing at the London Jazz Festival and well worth catching.